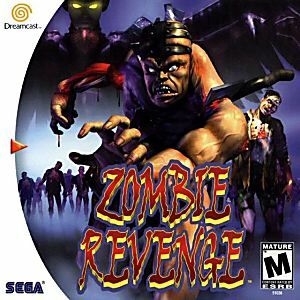 As a planned spin off to House of the Dead, this mixes its atmosphere with the game play of Streets of Rage in a 3D area. However, this would be poorly executed, because as much as beating down zombies is fun, your characters move much too slow to make this fair on your side, as you'll be quickly out numbered. The zombie mashing aspect is fun in short bursts, but once you feel like advancing or beating the game, you'll find yourself getting frustrated. The sub-par graphics and TERRIBLE voice acting only hurt this game more.